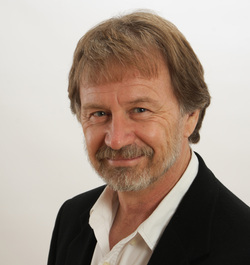 Dr. Curtis Cripe of Scottsdale, Arizona, offers expertise in a broad range of disciplines and industries, among them engineering and bioengineering, psychophysiology and psychology, and neurodevelopment. Curtis Cripe, Ph.D., currently leads the NTL Group, Inc., in Scottsdale; before this, he founded and oversaw The Crossroads Institute. The latter consisted of clinical professionals operating across seven states and used proven proprietary neurodevelopment techniques to help patients overcome disorders, such as anxiety and addiction, or simply to increase their intelligence and cognitive functions. Before working in behavior medicine, Curtis Cripe served as a systems engineer at NASA’s Jet Propulsion Laboratory (JPL), where he contributed to celestial planetary exploration missions, among them the first Mars landing in the 1970s. From JPL, he worked in software development at Department of Defense contractor TRW, Inc.
Curtis Cripe possesses a Ph.D. and master’s degree in health psychology and behavioral medicine from Northcentral University, as well as an undergraduate and graduate degrees in aerospace engineering from California State Polytechnic University. In his free time, he studies and practices hydroponics and grows heirloom vegetables.